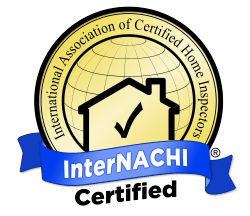 Are You Looking For A Home Inspector in Tampa Bay Area? Longo Inspection Service is the right choice. Ensure that your Dream Home doesn’t become a nightmare! Buying a home is the most expensive investment you will make. Safeguard your investment by getting a home inspection from a licensed and certified home inspection company with over 20+ years of residential construction and maintenance. Longo Inspection Services is dedicated to protecting home buyers by performing extensive, quality inspections. Longo Inspection Services provides the most detailed inspection report available in the Tampa Bay Area, using the latest technology. We can assist you in making a confident decision about the property before you buy. LongoIS also provides help when selling a property by giving an actuate report of all possible problems that could delay or result in a loss of sale of your home. Whether it’s your first home or your fifth, LongoIS is determined to be your trustworthy advisor on all home buying and selling endeavors, allowing you to make an informed decision by providing you with a detailed analytical inspection. We check over 500 items in a typical home inspection and take over 200 pictures, which is over three times what other inspection companies will do. Our detailed technologically advanced reports are easy to read with comprehensive narratives, a detailed check list and high definition color photos throughout the report. You will also have access to a full array of videos of YOUR home through our secure video clips in our web based report, allowing you to see with your own eyes the problems that are affecting your potential purchase. We feel that a buyer needs to know every aspect of the property, and we take immense pride in providing this service to our customers at a reasonable price. We work directly for YOU and only YOU. Our job is to insure that you understand every item that may be of issue, and our experienced inspectors will take the time to explain everything in detail and make sure any question you have is answered. LongoIS is the inspection service you need. © 2019 Longo Home Inspections. All Rights Reserved.